➦In 1907...actor Alan Reed was born Herbert Theodore Bergman in New York City. He was a strong, burly presence on film and TV but he would be better remembered for his equally strong, distinctive voice. 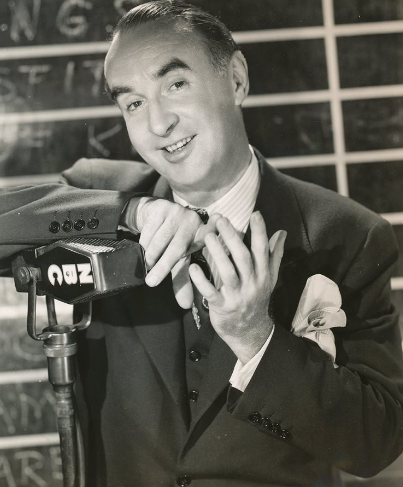 ➦In 1908...veteran golden-voiced announcer Andre Baruch was born in France. He tried to begin his career as a pianist for NBC Radio but got into the wrong line of applicants; he was in the announcers’ line and was hired on the spot. ➦In 1920...In Michigan, the Detroit News founded radio station 8MK, operating at first using an amateur license until granted a limited commercial license in October 1921. In March 1922, the call-letters were changed to WWJ, which they have remained ever since. 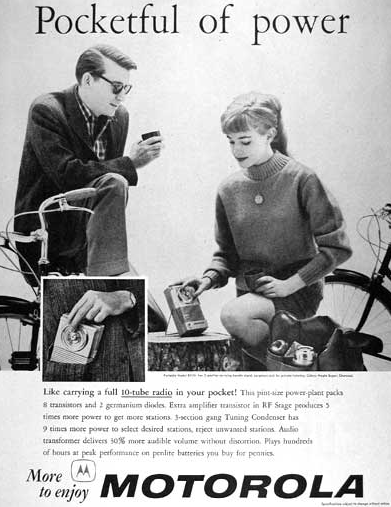 ➦In 1959...A Motorola 6 plus 2 transistor radio was advertised for $29.95. Six transistors and 2 diodes. "Hour after hour of top flight listening on a single inexpensive battery. Built-inantenna, Built-in easel for convenience. Slips into purse or pocket." ➦In 1960...19-year-old Marv Alpert, a journalism major at Syracuse University was working at WMGM 1050 AM radio in New York during the summer in the record library and news department. ➦In 1960...Mel Allen, often called the voice of the Yankees, will do the play-by-play of the New York Giants football team over CBS Radio. 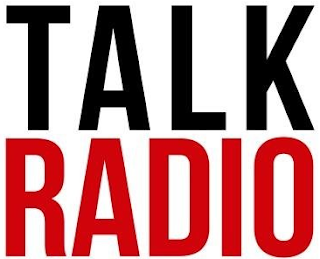 ➦In 1963...It was announced that all-night talk show host Long John Nebel - heard on WOR 710 AM in New York would also be heard on WNAC 680 AM in Boston, also owned by RKO-General. ➦In 1963...NYC Deejay Stan Z. Burns at 1010 WINS, New York has the magic touch. After playing “That Sunday, That Summer” off of Nat King Cole’s latest album with tremendous response, Capitol Records announced it will release it as a single. ➦In 1963...Many in the industry are stunned by the promotion of Rick Sklar, director of community services at 77 WABC Radio in New York, to Program Director, replacing Sam Holman. The announcement was made by newly-appointed vice-president and general manager Walter Schwartz. “Sam Holman, who has done so much to bring WABC to its present enviable position in the market, willcontinue to be a front-line piece of talent for us (Holman is also a DJ). ➦In 1963...the CBS radio network established a new dimension in network broadcasting. 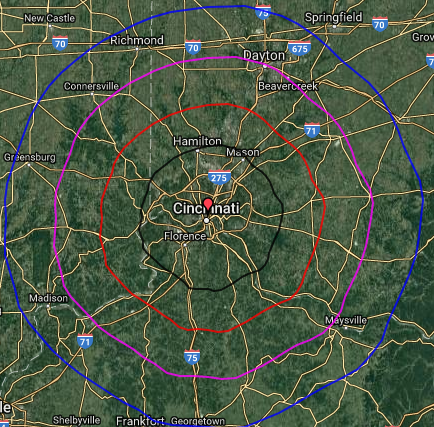 Net Alert systems were just installed in more than 200 stations of the CBS radio network. This will now allow newsrooms in New York or Los Angles to notify local or other network programs of an important news story. 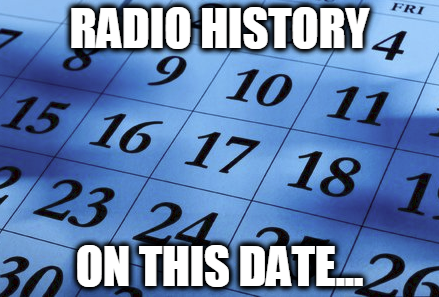 ➦In 1967...With FM radio making some ratings noise in New York, it was announced that a new kind of transmitting antenna was available to improve FM reception. WABC 95.5 FM & WCBS 101.1 FM in New York, began transmitting in September with a circularly polarized antenna from the Empire State Building. ➦In 1967....The New York Times published a report about a noise reduction technology for tape recording that had been developed by technicians R. and D.W. Dolby. Checkmate Records was the first label to use the new Dolby process in its recordings. ➦In 1976...Gordon Lightfoot released his soon-to-be hit single, The Wreck of the Edmund Fitzgerald, from his album Summertime Dream, about an ore carrier which sank on Lake Superior. It would reach #2 on the Billboard Hot 100. ➦In 1997...Talk show host Bob Grant sued his former radio station – Talkradio 77 WABC New York which he says, tried to blacklist him after he made controversial remarks about deceased commerce secretary Ron Brown. ➦In 2009...keyboard player and guitarist Larry Knechtel, who was a studio musician on such classic recordings as Bridge Over Troubled Water, Mother And Child Reunion, Swayin' To The Music, Rockin' Pneumonia-Boogie Woogie Flu, Mac Arthur Park, Stoned Soul Picnic, Good Vibrations, Up Up And Away, Wouldn't It Be Nice, Monday Monday, Dream A Little Dream Of Me, Christmas-Baby Please Come Home, Eve Of Destruction, Summer Breeze, Dance With The Guitar Man, Taking The Long Way)/guitarist (Stoney End, The Guitar Man, Light My Fire, Mr. Tambourine Man, Surf City and who was a member of the 1970′s group Bread, suffered a fatal heart attack at age 69. ➦In 2015…Retired broadcast meteorologist Harry Volkman, who reported the weather on four different Chicago television stations over the course of four decades, died of a respiratory ailment at 89. Veteran Philadelphia radio personality 'Cadillac Jack' Seville has disclosed that he has been diagnosed with Stage 4 Colon Cancer. 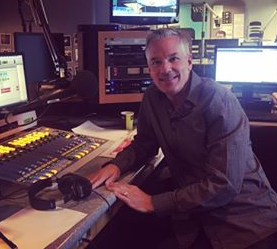 In June, Seville lost his job at CBS Radio's Classic Hits WOGL 98.1 FM, due to budget contraints pending the upcoming merger with Entercom. That ended a long run for the afternoon Philly jock dating back to 1991 on then WEGX 'Electric 106' (Click Here for audio). Seville had been hosting PM on WOGL since 2008..
Cadillac Jack had been with WOGL since 2004 and moved from weekends/swing to afternoons in September 2008 following the passing of Big Ron O’Brien. He also had had stints at KQLZ “Pirate Radio 100.3” in Los Angeles, and 105.1 WAVA in Washington. Other stations include WGGY Scranton.Wilkes-Barre, WIOV Lancaster, WIOQ Philadelphia and WLAN Lancaster. Newsradio 740 KTRH in Houston has announced that Jimmy Barrett will join Houston’s Morning News on Mon., Sept. 11, co-anchoring with Shara Fryer 5-8 a.m. weekdays. 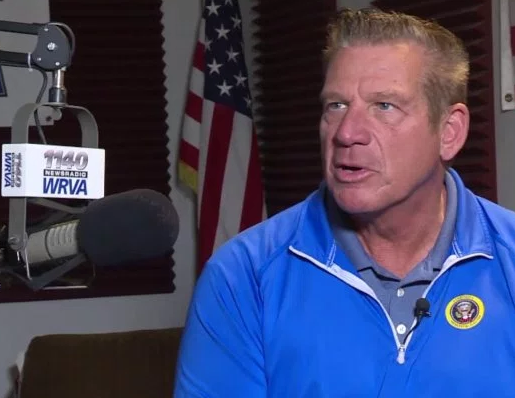 Barrett comes to KTRH from Richmond, Va., where he served as the morning host for iHeartMedia’s News Radio 1140 WRVA for 16 years. 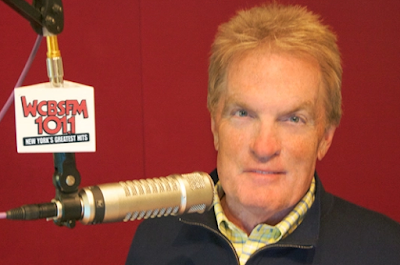 He’ll replace former KTRH morning host Matt Patrick who passed away in early July after a lengthy battle with cancer. 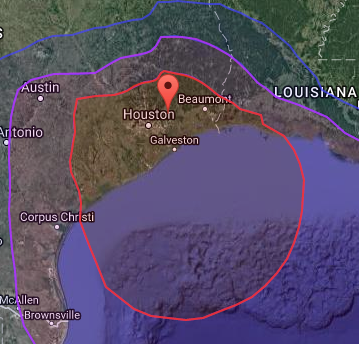 Houston’s Morning News with Jimmy Barrett and Shara Fryer 5-8 a.m. The Michael Berry Show 8-11 a.m. Rush Limbaugh 11 a.m.-2 p.m. The Michael Berry Show 5-7 p.m.
On August 21, consumers will be able to experience a solar eclipse like never before. The Weather Channel digital properties and Twitter have teamed up for a live stream of this once-in-a lifetime celestial event, which will allow consumers to chase the total solar eclipse in real time as it moves from coast-to-coast. The interactive live coverage for “Chasing Eclipse 2017” kicks off at noon ET on August 21. 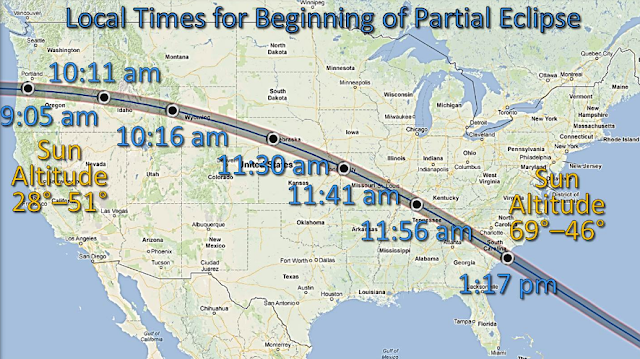 The Weather Channel digital coverage will immerse viewers in totalities from 10 locations along the eclipse path - from the ground and from space - and join the fun celebrations taking place across the country. Live locations include: Stanley, ID; Carbondale, IL; St. Joseph, MO; Alliance, NE; Hopkinsville, KY; McMinnville, OR; Belton, SC; Nashville, TN; and Casper, WY. “Chasing Eclipse 2017” will be available via The Weather Channel app, weather.com, and Twitter. The live stream will be available for free to logged-in and logged-out users on Twitter as well as connected devices globally. Viewers will be able to access the live stream at http://eclipse2017.twitter.com or via @weatherchannel. 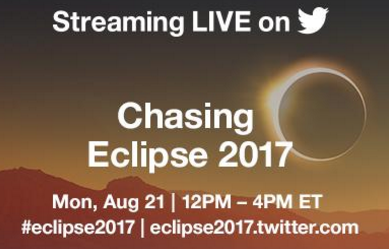 To join the conversation and submit content for “Chasing Eclipse 2017,” tweet with #Eclipse2017. Steve Bannon has rejoined Breitbart as executive chairman only hours after his firing was announced. 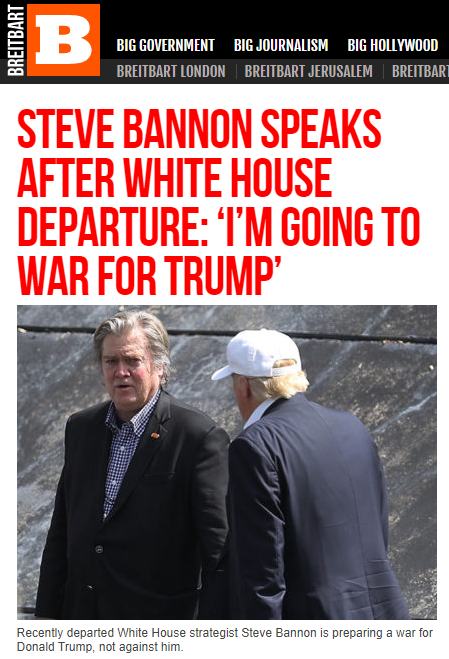 He is now expected to use it as a platform to blast those within the White House - and perhaps Trump himself - when they don't hew to the fiercely nationalist policies Bannon advocated as an inside adviser. 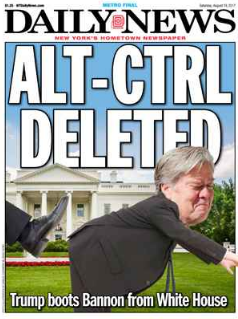 In recent days, Bannon had told friends he is worth tens of millions of dollars, is a worldwide leader in the populist-nationalist movement that propelled Trump to power, and could go back to Breitbart, which he refers to as a “killing machine”, or perhaps other endeavors financed by the family of hedge-fund tycoon Robert Mercer, his longtime ally, reports Reuters. 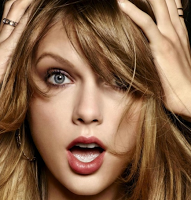 Taylor Swift, one of the most popular celebrities on social media, wiped all her accounts on Friday, sending fans into a frenzy over whether the pop singer had been hacked, was preparing to launch a new album, or was about to reinvent herself. Reuters is reporting Swift, who has 85 million Twitter followers and 102 million Instagram followers, deleted all of her Instagram photos, her posts on Tumblr, and removed her avatar from her Facebook page where all postings prior to December 2015 were missing. The "Blank Space" singer also deleted years of Twitter posts, and her official website showed just a black screen. Taylor's publicist did not return calls for comment, but the development follows a busy two weeks for Swift, who earlier this month ended a six month absence from the public spotlight to testify at a high-profile groping trial in Denver, Colorado. Swift, 27, was on Monday awarded the symbolic $1 in damages that she had sought after a federal jury in Denver found that a radio DJ had grabbed her bottom while posing for a photo with her in 2013. Classic Rock WPBG 93.3 FM The Drive was the ratings winner once again for the Peoria market. The Drive topped the ratings book in the fall of 2016 and repeated Spring 2017 with 9 percent of the radio audience of people 12 and older. Finishing second was WXCL-FM 104.9, the Wolf 104.9, a country outlet, with an 8 share. WSWT-FM 106.9, the station known as the Mix that plays adult contemporary music, placed third with a 7.4 share while WMBD-AM 1470, the area’s talk radio outlet, was fourth with a 6.4 share. 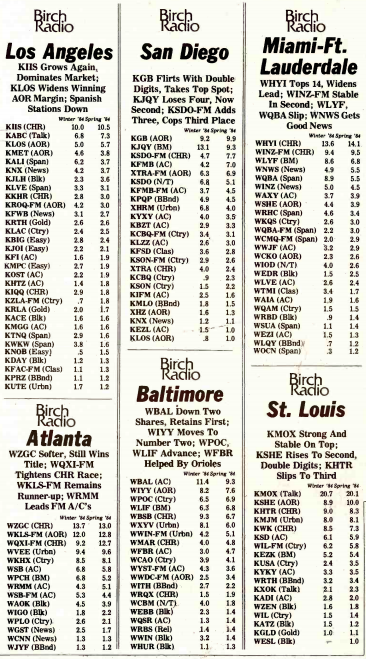 All four of the top-rated stations are part of the Alpha Media group. Football may be America’s most-watched sport, but the National Football League’s sinking ratings last year has observers questioning how the league will fare this year, especially since live sports has long been viewed as crucial in keeping consumers and high-paying advertisers glued to TV sets. 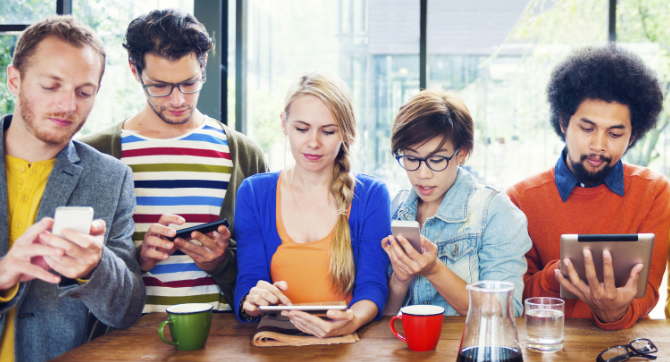 According to AdWeek, Foursquare has released some intriguing data about foot traffic to bars and restaurants suggesting that at the very least, sports fans aren’t watching games while out and about with friends at bars. Based on data from the company’s always-on foot traffic panel—which includes data from 2.5 million Americans—Foursquare analyzed visits to sports bars during the previous two seasons in cities with and without NFL teams. The firm estimates that between 2015 and 2016, foot traffic on Sunday game days dropped 13 percent year over year for cities that do not have a team and 12 percent for cities with a team. 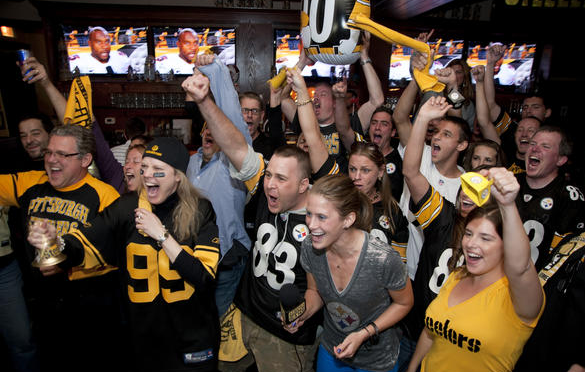 When looking specifically at a group of consumers who went to a sports bar more than six times during the NFL’s 17-week season in 2015, only 40 percent visited a sports bar as frequently in 2016. And among people who went to a sports bar more than three times during the 2015 football season, 2016 foot traffic sank 10 percent. Foursquare noted that women and millennials were most likely to ditch sports bars but visits among all demographics dipped. While overall traffic to sports bars was down 4 percent for all of 2016, football season continued to drive foot traffic for sports bars compared to the rest of the year. Per Foursquare, foot traffic spikes 32 percent for bars located near an NFL team on Sundays during football season compared to Sundays during the offseason. India is experiencing a brand new traditional radio revolution. Hundreds of new outlets are hitting the airwaves in the South Asian nation of 1.3 billion people and attracting a record amount of revenue, thanks to deregulation, small-town consumption and cheap cellphones with built-in FM receivers, reports InsideRadio. Radio has existed in India since the early part of the last century, but was largely limited to state programming until the 1990s. In New Delhi, 313 commercial FM radio stations and the state broadcaster made $416 million in revenue last year, according to data from PricewaterhouseCoopers LLP. For comparison, WSJ reports that 6,700 FM stations in the U.S., brought in $22 billion. All the same, radio revenue in India climbed 18% in 2016 from $352 million a year earlier and is expected to continue to grow, according to PwC. In the U.S., Japan and the U.K., revenue has averaged growth of less than 2% over the past four years, while growth in China and Brazil has been below 3%. More than 70 stations launched in the year ended March 31, and another 90 are expected this fiscal year. The government will auction rights for 800 more stations in coming years, said one official. 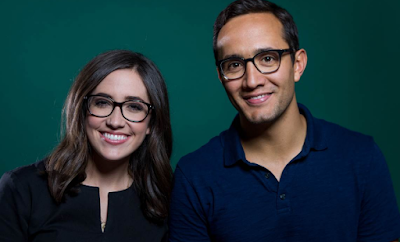 NBC News’ twice-daily Snapchat show, “Stay Tuned,” has garnered more than 29 million unique viewers since launching July 18, according to Variety. The show’s debut came after NBCUniversal invested $500 million in Snap, the parent company of Snapchat, as part of its initial public offering in March. 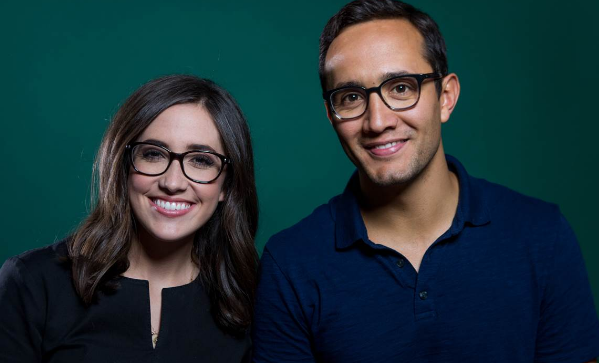 “Stay Tuned,” the first daily news program on Snapchat, is co-hosted by Savannah Sellers and Gadi Schwartz. It features two episodes a day during the week and one each day on weekends, plus breaking news updates. According to Snapchat, more than 40% of viewers tune in at least three days a week. As NBC News — along with other TV news outlets — struggles to find a younger audience, it’s significant that more than 60% of the “Stay Tuned” audience is under the age of 25, according to Snapchat. Each episode is 2-3 minutes in length, with four to five segments per show, covering national and international news, politics, pop culture and other topics. NBC News said Schwartz will provide a “Stay Tuned” report on Monday, Aug. 21, from Casper, Wyo. — a city that’s in the path of total solar eclipse. Snap has struggled since its IPO, with its first two quarterly reports missing Wall Street expectations on both earnings and users growth. Snapchat averaged 173 million daily active users in Q2, up 4% from 166 million during Q1. Snap’s stock has tumbled about 50% from its post-IPO high, as investors fretted about valuation and Snapchat’s growth trajectory. ➦In 1903...writer Fran Striker was born in Buffalo New York. He was best known for creating the Lone Ranger, Green Hornet, and Sgt. 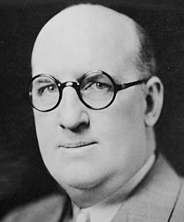 Preston of the Yukon characters for young listeners with half-hour melodramas aired from the studios of George W. Trendle’s WXYZ Detroit, from the early 1930’s into the TV era. At his peak Striker was writing 156 Lone Ranger scripts a year. He died in a car crash while moving with his family Sept. 4th 1962 at age 59. ➦In 1929…"Amos 'n' Andy," the comedy program starring Freeman Gosden and Charles Correll, heard in Chicago and then in syndication since March 1928, made its network debut on NBC Radio. The program stayed on the air in different lengths and forms, switching networks to CBS in 1939, until November 1960. ➦In 1974...Cousin Brucie started at WNBC 660 AM. 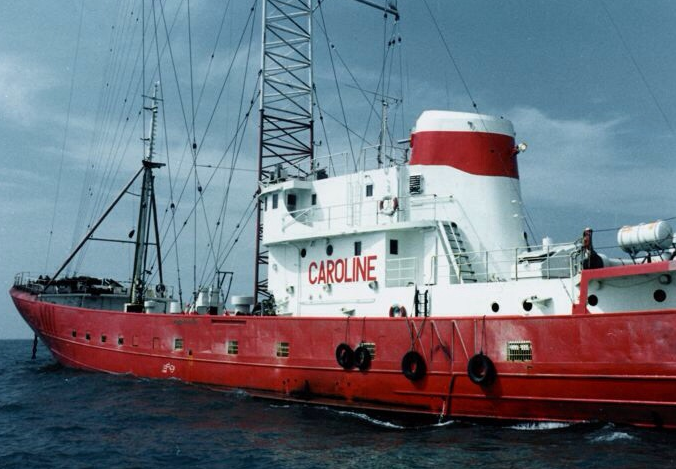 ➦In 1983...Having been sporadic since it was originally shut down in 1968, "pirate radio" station Radio Caroline makes its comeback on board the ship Ross Revenge in the North Sea's international waters. Six years to the day later, it would be shut down again. During the Scott Shannon's “Big Show” Friday on WCBS 101.1 FM, New York Times best-seller Beth Stern called in live to talk with the crew about the upcoming Clear The Shelters event with the North Shore Animal League happening on Saturday, August 19th from noon to 10PM. Beth, an avid animal lover and adoption advocate, is involved with NBC 4 New York & Telemundo 47’s Clear the Shelters initiative — a community-driven country-wide pet adoption drive with shelters offering low cost or complete waivers of adoption fees — seeking to match deserving animals with loving and permanent homes. Since 2015, this event has resulted in more than 70,000 pet adoptions, according to CBS Local. And also on the line was her sort-of-famous husband, the King of All Media,” Howard Stern, to offer up his congrats to Scott and the crew for recently reaching the number 1 spot in the Tri-state . Beginning Monday, Aug. 21, WEPN ESPN New York 98.7 FM’s Alan Hahn will host The Alan Hahn Show – weekdays 7- 10 p.m. ET – where he will discuss the biggest topics in New York sports. Hahn has hosted Hahn, Humpty & Canty (weekdays 10 a.m. – 1 p.m. ET) since 2014. The re-named Humpty & Canty will continue to be hosted by Rick DiPietro and Chris Canty alongside new co-host Dave Rothenberg. Rothenberg, who has hosted The Dave Rothenberg Show weekday evenings, will join Humpty & Canty Tuesday, Sept. 5. The Saturday edition of The Dave Rothenberg Show will continue from 9 a.m. – noon. 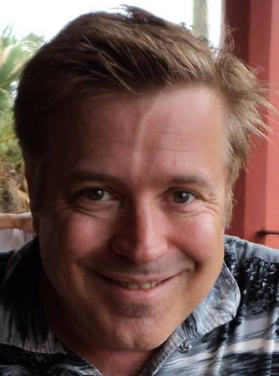 After 15-year as morning show host, Christopher Rude has exited Sports WCNN 680 AM / 93.7 FM (Translator W229AG). According to ajc.com, cohosts Chris Dimino and Nick Cellini will remain with a new name to be unveiled next month, according to David Dickey, who runs the station. 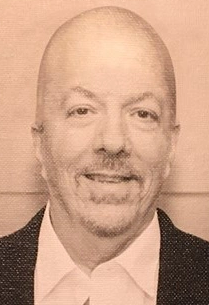 The show for many years was called the Rude Awakening, even after Dimino and Cellini joined the show following their departures from the now defunct WQXI 790/The Zone. Rude’s agent Norm Schrutt confirmed the news and plans to have lunch with Rude today. He suspects Rude would like to get back into rock radio. Rude worked for many years at 96rock before joining the Fan, coming to Atlanta in the late 1980s. He found a way to transition from rock to sports and survived an impressively long period of time. Schrutt said the station treated Rude well, even when he suffered throat cancer in 2010. CNN anchor Wolf Blitzer raised some eyebrows Thursday when he compared the ISIS terror attack in Barcelona to last week's attack in Charlottesville, Virginia. The host predicted there would be questions about whether the Barcelona attack was "at all, a copycat version" of what happened in Virginia. "They used the same killing device," Blitzer noted, since both attacks involved a vehicle being used to hit innocent people. On his show on Fox Business, Stuart Varney said the comment was "outrageous" and was an attempt to associate President Trump with the terrorist attack. "Wolf Blitzer is a good man, but he shouldn't have done that," he said. Syndicated radio host Tammy Bruce agreed, pointing out that others on CNN picked up on the talking point and the coverage should concern Americans. "There's a pathological fixation. Every single thing they see over there they interpret through the lens of hating Trump," said Bruce. She said the idea is to make Americans "infer" that Trump is responsible for what happened in Charlottesville and now can also be linked to the Spain attack, which left 14 dead and dozens injured. Bruce made the point that Fox Business covers world events through the lens of business and markets, but many in the media are now covering every event with a tainted anti-Trump view. President Donald Trump has frequently lashed out at news organizations for reporting “fake news” about him and his administration, but most Americans continue to maintain faith in at least one media pillar — their local news outlets. A new Morning Consult/POLITICO poll conducted Aug. 10-14 found that 41 percent of registered voters have more trust in their local news outlets to report the truth, while 27 percent said they have more faith in the truthfulness of national news coverage. Thirty-two percent didn’t know or had no opinion, according to the survey — a national sample of 1,997 registered voters. A slim plurality of Democrats (39 percent to 36 percent) trust national news coverage more than their local news outlets, the poll showed. Meanwhile, many Republicans (45 percent to 21 percent) and independents (41 percent to 22 percent) trust local news over national news. Fifty-four percent of overall respondents found national news coverage to be somewhat or very liberal, while 16 percent said national organizations were somewhat or very conservative. Just 7 percent found national news coverage to be centrist or nonpartisan. 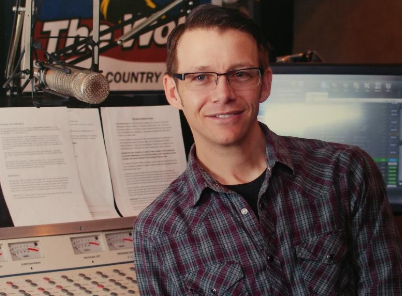 Cumulus Media has announced that it has appointed Chris Clare as Program Director for WNNF/NASH-FM 94.1 in Cincinnati, OH. Clare leaves 99.9 The Wolf/WTHT-FM in Portland, ME, where he was Program Director, for his second stop in Cincinnati, having previously been on-air at Star 96.5/WFTK-FM. He’s also programmed and worked at stations in markets including: Indianapolis, Denver, New Orleans and Pensacola. Miguel “Mijo” Irizarry will join the air staff of CBS RADIO’s WPOW Power 96 in Miami beginning Monday, August 28. He will host weeknights from 7:00 PM to Midnight and engage with listeners across the station’s social media channels. The announcement was made by Rob Morris, VP of Programming, CBS RADIO Miami and PD of Power 96. Mijo replaces Ivy “Unleashed” who was elevated to afternoon drive host, Monday-Friday, 2:00-7:00 PM, last month. 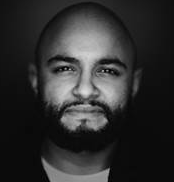 A second generation broadcaster, Mijo joins Power 96 from Hot 104.7 where he hosted afternoons and also served as the station’s music director, imaging director, including web graphics, and mix show coordinator. 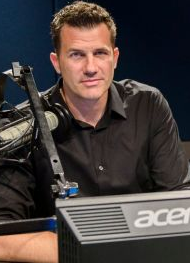 Prior to that, he was with Wired 96.5 in Philadelphia where he hosted nights. He began his radio career at Hot 106.3 in Providence in 2010. Veteran Chicago TV journalist Mark Suppelsa, currently a top anchor at WGN-Channel 9, plans to retire at year’s end. The news was first reported by media columnist Robert Feder. Suppelsa, 55, now anchors the 5, 9 and 10 p.m. weekday newscasts on Channel 9 alongside Micah Materre. He joined WGN in 2008 after earlier stints at WMAQ-Channel 5 and WFLD-Channel 32. The newsman’s letter made no mention of the looming takeover of WGN parent Tribune Media by Sinclair Broadcast Group. 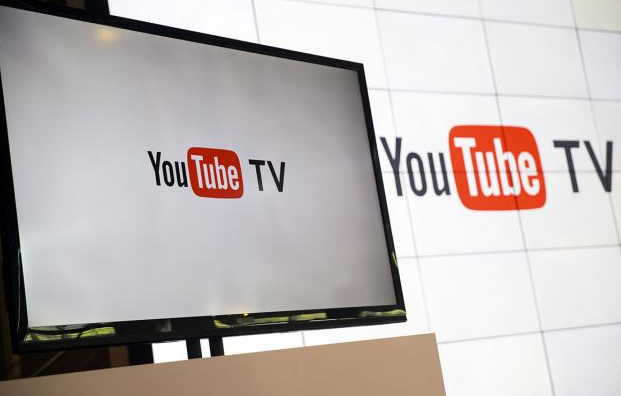 Following July’s expansion which tripled its footprint, Google Thursday announced that YouTube TV is now available to 50 percent of U.S. households, thanks to a rollout to 14 new markets. The company is also pre-announcing its plans to move into 17 more major metros in the weeks ahead, as it continues its rapid march towards nationwide coverage. According to TechCrunch, YouTube TV is one of many “skinny bundles” for streaming live TV over the internet, which today includes rivals like Hulu Live TV, Sling TV, PlayStation Vue, fuboTV, and AT&T’s DirecTV Now. The service costs $35 per month, and includes access to nearly 50 networks, including broadcast networks, cable TV, and, in select markets, local sports. 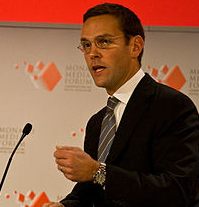 Fox' James Murdoch: "There Are No Good Nazis"
James Murdoch – chief executive of 21st Century Fox and son of Donald Trump ally Rupert Murdoch – has become one of the most prominent voices yet to condemn the US president’s response to neo-Nazi violence in Charlottesville, reports The Guardian. In a memo to colleagues obtained by the Hollywood Reporter, Murdoch pledged to donate $1m to the Anti-Defamation League, which works to combat anti-semitism. Murdoch’s father, Rupert Murdoch, is a conservative media mogul who has become an informal adviser to Mr. Trump, recently dining with the president in the White House residence. “What we watched this last week in Charlottesville and the reaction to it by the president of the United States concern all of us as Americans and free people,” Murdoch, 44, writes in the memo. He goes on to say that he and his wife, Kathryn, are donating $1m to the Anti-Defamation League in the wake of the tragedy, which left one civil rights activist dead. Conservative radio, TV hosts who have been generally supportive of Trump have spent the week endorsing his evolving message, reports The Washington Post. On “Bottom Line,” the commentary segment included with Sinclair Media programming, former Trump campaign adviser Boris Epshteyn argued that the president had given a pitch-perfect response and that opposition was coming from the violent left, which did not want to be exposed. Nielsen has launched the Nielsen Ratings Academy, an online, interactive, one-stop shop for understanding Nielsen measurement, including the types of media consumers access, as well as how the company measures viewership and derives ratings. 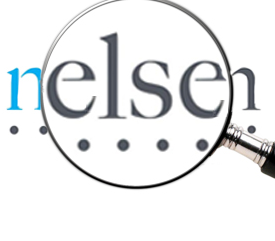 Nielsen measures audiences across TV, digital, and audio and provides insight into these audiences through Nielsen ratings, which play a pivotal role in providing both content creators and advertisers with a single data set to operate and evaluate opportunities to reach the right consumer. Over time, the website will include a series of modules, each of which will cover a different element of the media landscape. The first module explores the overall media realm, laying the foundation for additional modules diving into TV, Audio, and Digital. Taylor Swift has made good on her pledge to support groups that help sexual assault victims following her victory in a Colorado groping trial this week. According to Reuters, the 27-year-old singer on Wednesday made what officials described as a generous donation to the Joyful Heart Foundation, whose mission is to educate, support and campaign on sexual violence issues. "Joyful Heart is honored to be recognized by Taylor Swift for our work on behalf of and in service to survivors of domestic violence, sexual assault, and child abuse," the organization said in a statement. Swift on Monday was awarded the symbolic $1 in damages that she had sought after a federal jury in Denver found that a radio DJ had grabbed her bottom while posing for a photo with her in 2013. The pop star delivered unflinching testimony describing the incident, saying she wanted to help other women make their voices heard. She said she would donate to organizations that help sexual assault victims defend themselves. The Joyful Heart Foundation was launched by former "Law & Order; Special Victims Unit" television star Mariska Hargitay in 2004 with the aim of alleviating the isolation felt by domestic abuse and sexual assault victims. Robin Turnau, President and Chief Executive Officer of Vermont Public Radio, has announced plans to step down in March 2018. Turnau began her career at VPR in 1989 as membership and volunteer coordinator. 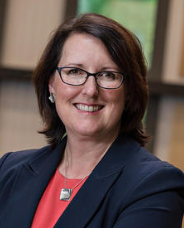 She went on to serve as capital campaign coordinator, development manager, director of development, and vice president for development before being named president and CEO in 2009. VPR has flourished under Turnau’s leadership, according to a news release. Most recently, she oversaw a successful $10 million capital campaign which included the expansion and renovation VPR’s headquarters in Colchester and the establishment of an Innovation Fund to fuel the next generation of program and content initiatives. AirKast Inc., a mobile app developer for broadcasters, has developed and will be providing free Alexa skills for all its customers -- including over 800 North American radio stations, syndicated radio hosts and podcasters -- allowing them to bring voice interaction to audiences. 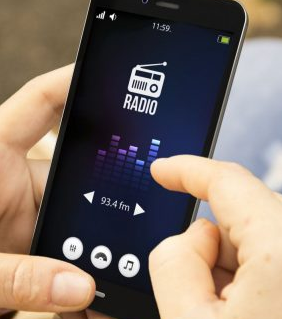 Beyond the basic launching of radio music streams, AirKast's Alexa skills will enable listeners to explore, interact and request other content from stations and hosts available through their own branded mobile apps. AirKast will also provide functionality that allows stations and hosts to collect and harness permission-based user data to help them sell mobile ad campaigns and drive listener engagement beyond current levels. AirKast also offers Apple Car Play and Android Auto functionality for free -- which will be relaunched with auto voice controls. "We expect that these new Alexa skills will be quite beneficial to radio stations -- by permitting them to forge easy-to-use personal connections with their audiences, and by giving them new content whenever and wherever they want it," explained AirKast CEO Larry Leung. "It's our mission to not only provide basic Alexa skills, but also more advanced voice recognition, so fans can interact with a radio station's podcasts, show schedules and other application-based content." 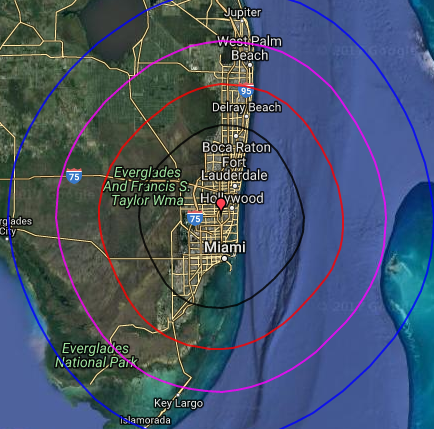 AirKast provides services to CBS Radio News, FOX Radio News and Cumulus Media. ➦In 1900...radio/TV performer/songwriter Walter O’Keefe was born in Hartford Connecticut. He started in vaudeville and became a Broadway performer. By 1937 he was filling in for such radio stars as Walter Winchell, Edgar Bergen, Don McNeill and Garry Moore. He became the long-time master of ceremonies of the NBC game show Double or Nothing and was a regular on that network’s Monitor series. He was the host for the first Emmy Awards ceremony in January 1949. O’Keefe has a star for his radio achievements on the Hollywood Walk of Fame. 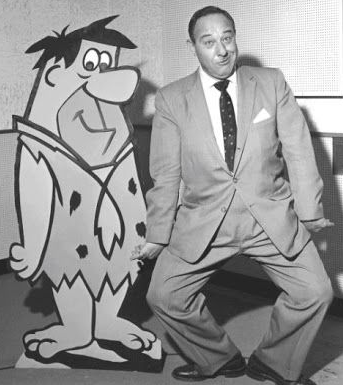 He died of congestive heart failure June 26 1983 at age 82. ➦In 1927...at age 20, Christian radio pioneer Theodore Epp was converted to a living faith. In 1939 he founded the “Back to the Bible Broadcast,” an evangelistic Radio Program which still in recent years was heard on over 600 stations around the world. ➦In 1937...FCC issued first FM construction permit to W1XOJ, Boston. Station signs on in 1941 as WGTR (General Tire & Rubber). W1XOJ signed on from Asnebumskit in 1939, the result of a partnership between Yankee Network owner John Shepard and FM inventor Edwin Howard Armstrong to explore the potential of inter-city FM networking. Programs were fed from the Yankee studios in Boston to Asnebumskit, and were picked up from there at stations on Mount Washington, N.H. and in Meriden, Connecticut. Other programs were picked up at Meriden from Armstrong's W2XMN in Alpine, N.J. and carried through Asnebumskit to Mount Washington. In 1941, W1XOJ became commercial outlet W43B, with 300 kW ERP (50 kW TPO) on 44.3, as a sister to Boston's WNAC and WAAB. Two years later, Yankee moved WAAB to Worcester to escape the FCC's new anti-duopoly rule. While WAAB and W43B were nominally sister stations, they were never operated jointly (W43B was treated as a "Boston" station and operated from Yankee's Boston studios), and Yankee soon sold WAAB to new owners. W43B eventually took new calls WGTR, moving to the new FM band on 103.1 and then on 99.1. In October 1948, the Yankee Network moved its FM operations to Boston, on the new WNAC-FM 98.5. 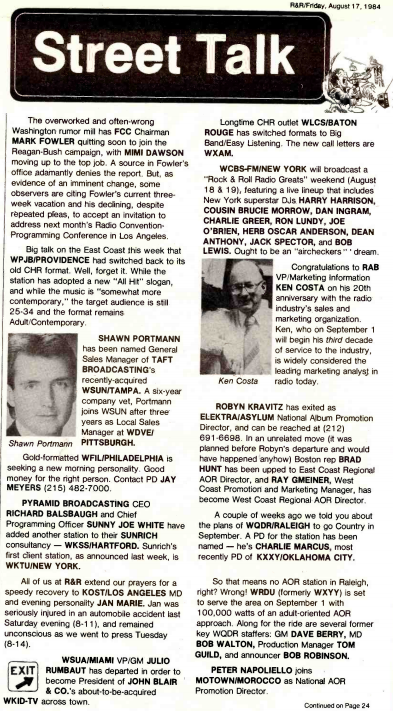 WGTR's license was transferred to Eastern Radio, which apparently operated the station with “Transit Radio”, providing programming heard in city buses. The 1951 Broadcasting Yearbook shows WGTR once again under the ownership of the Yankee Network, but operating from the same 34 Mechanic Street address as WAAB, by then under Olin Company ownership. WGTR faded from the scene completely within a year or two, as WAAB flirted with television. By 1961, WAAB was in the hands of Waterman Broadcasting, and when its new FM signal signed on that fall, it was as a simulcast of the full-service AM station. The simulcast lasted until 1967, when WAAB-FM split off from the AM with a stereo beautiful music format. In 1969, WAAB-FM became WAAF, adopting a freeform rock format at 107.3 FM that later evolved into album rock under new owner Southern Massachusetts Broadcasters. A power increase in 1970, to 16.5 kW at 780 feet above average terrain, gave WAAF a commanding signal that could be heard across most of Massachusetts, as well as large portions of eastern Connecticut, Rhode Island, southern New Hampshire and southern Vermont. ➦In 1961...Dan Daniel started at Top40 WMCA 570 AM. He started on the graveyard shift overnight but from 1962 to 1968 he played the top 40 hits from 4 pm to 7 pm — the evening drive home slot. 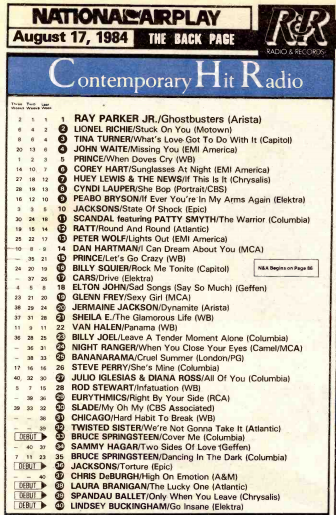 The station produced a survey of the current sales in New York record stores and Dandy Dan gave the countdown of the week's best sellers every Wednesday in this late afternoon slot. From 1968 to 1970, he did the early morning drive-to-work slot before leaving WMCA after nearly nine years; his final broadcast was on 11 July 1970. 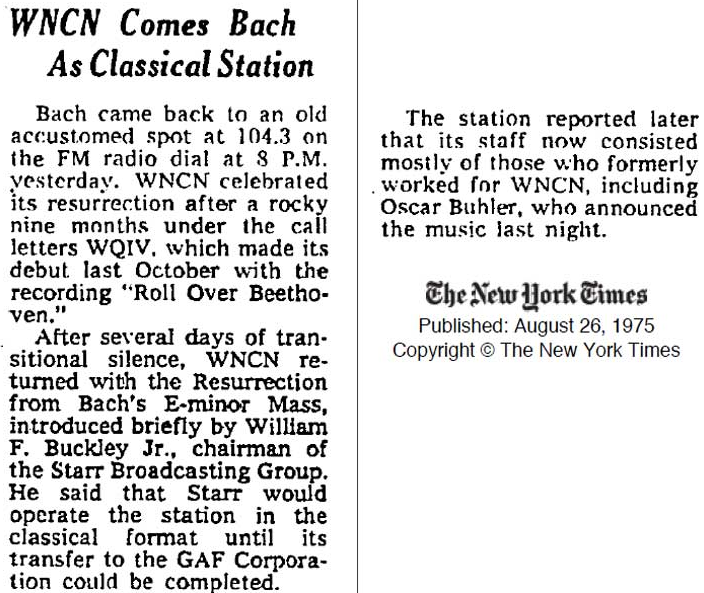 Dan was heard coast-to-coast on NBC Radio's "Monitor" in the summer of 1973. 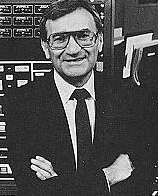 He subsequently worked on WYNY-FM where he hosted the mid-day slot and later morning and afternoon drives. He then did a stint at WHN playing country music before returning to WYNY-FM. Finally, he moved to WCBS-FM in 1996. He retired from WCBS on December 31, 2002. WMCA transitioned to talk in 1970, bringing an end of the “Good Guys” era. It did well until rivals WOR and WABC flipped to talk through the early 1980s. Salem Communications bought WMCA in 1988, which started the current Christian radio format. ➦In 2014...announcer Don Pardo, for 37 years the booming voice of NBC-TV’s Saturday Night Live, who had a seven-decade career that began in the glory days of NBC radio, died in his sleep at age 96. VEEP: "We Condemn Acts of Violence, Hatred"